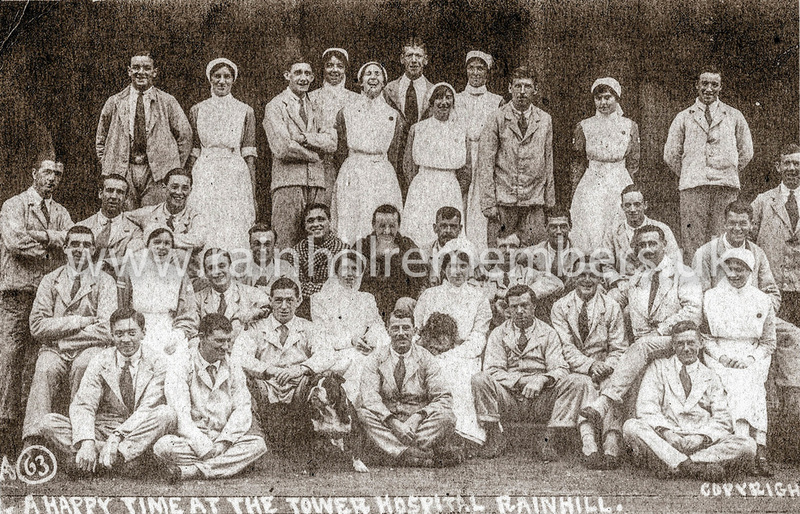 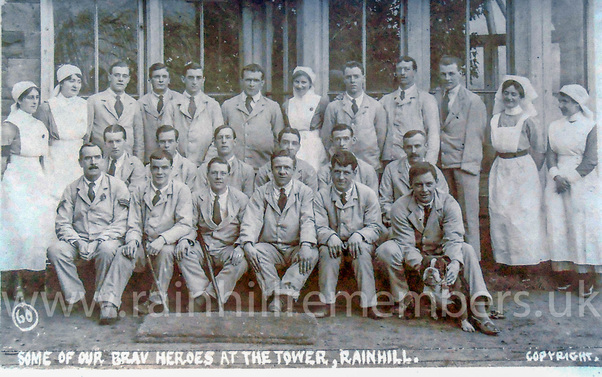 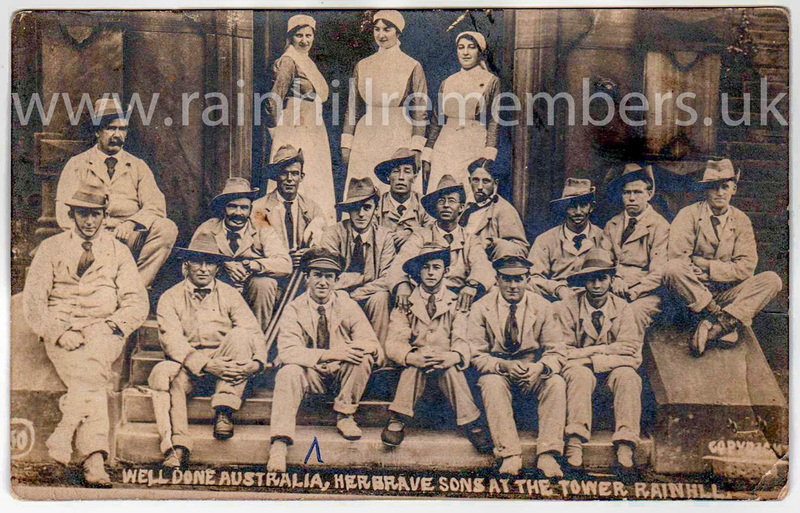 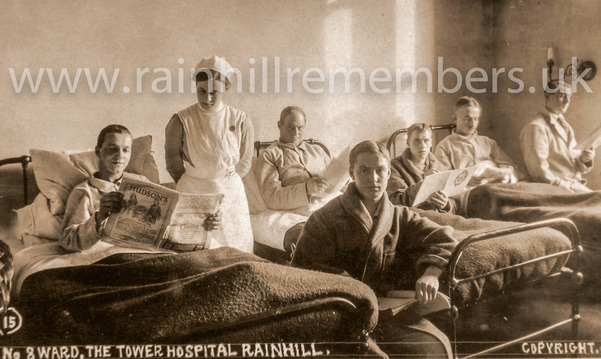 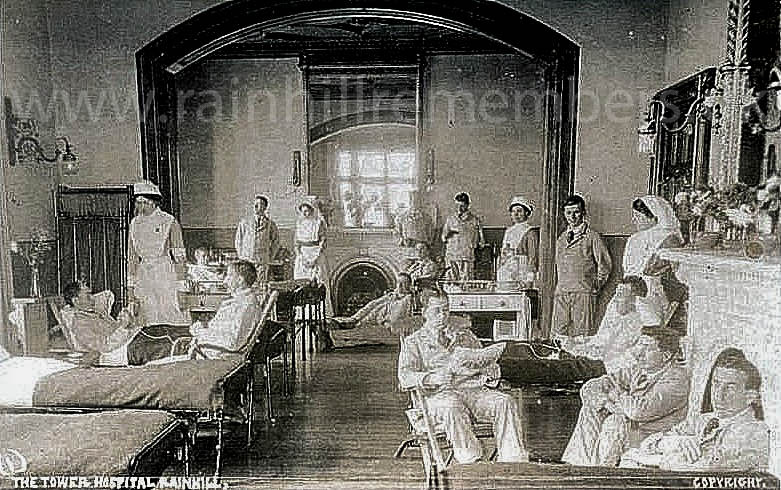 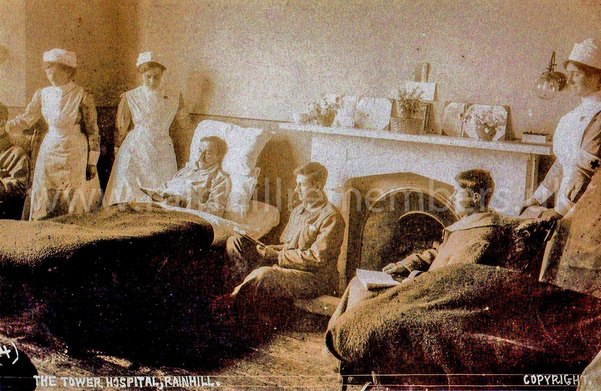 A number of postcard photographs were taken of staff and patients at Tower Hospital. 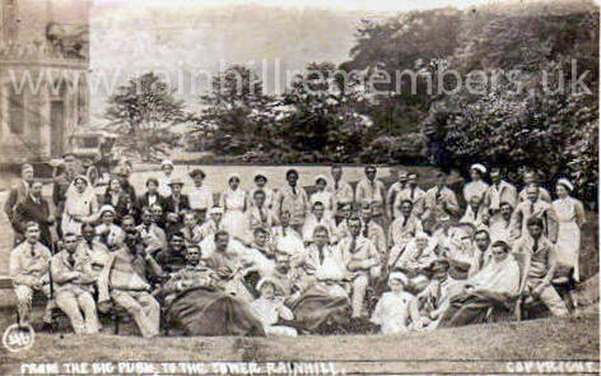 A selection are shown below. 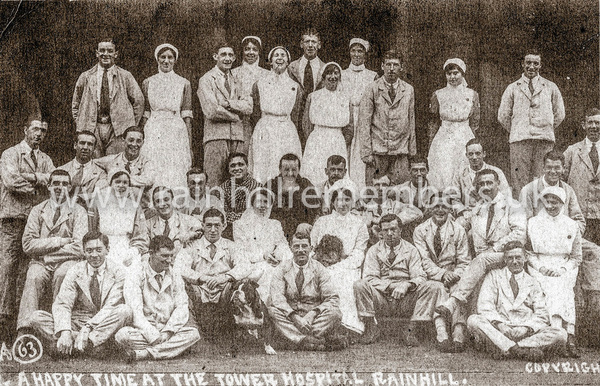 Information on staff and patients, who came from all parts of the UK and overseas, is scarce. 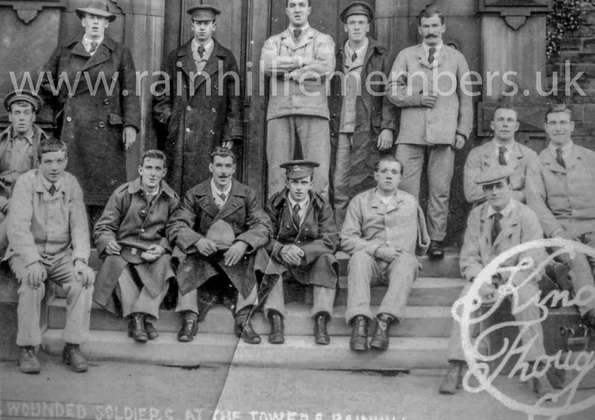 Please get in touch via our Contact Page if you feel you have something to add. Below is another picture entitled "Some of our Brave Boys from the trenches"
The photograph below is entitled 'From the Big Push to The Tower, Rainhill'. 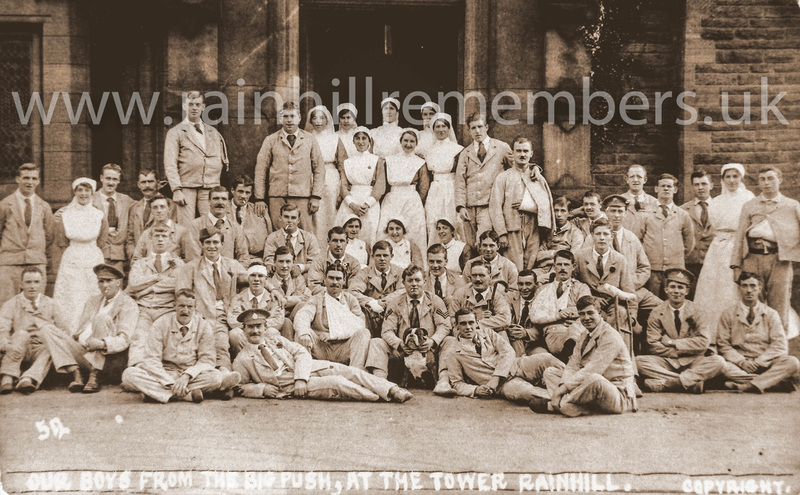 The Big Push was usually associated with the Battle of the Somme in 1916 and it is assumed the photograph shows soldiers wounded at that battle. Further photographs below also relate to the Somme. 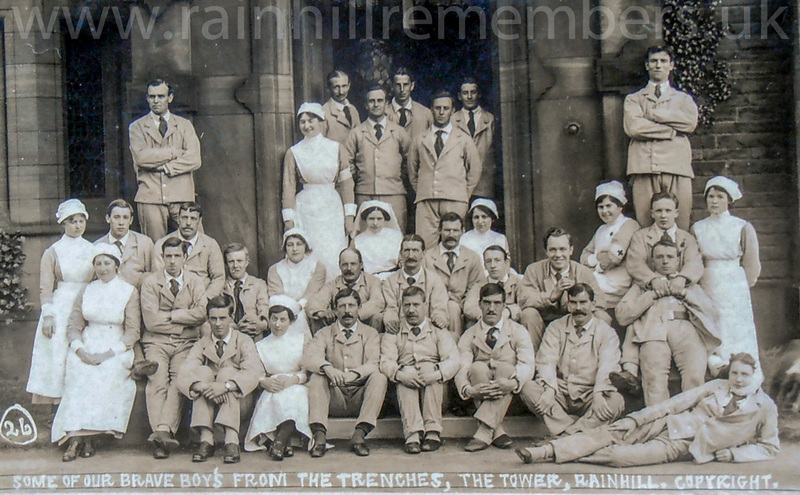 It is interesting to note that almost all of the soldiers still wear a shirt and tie! 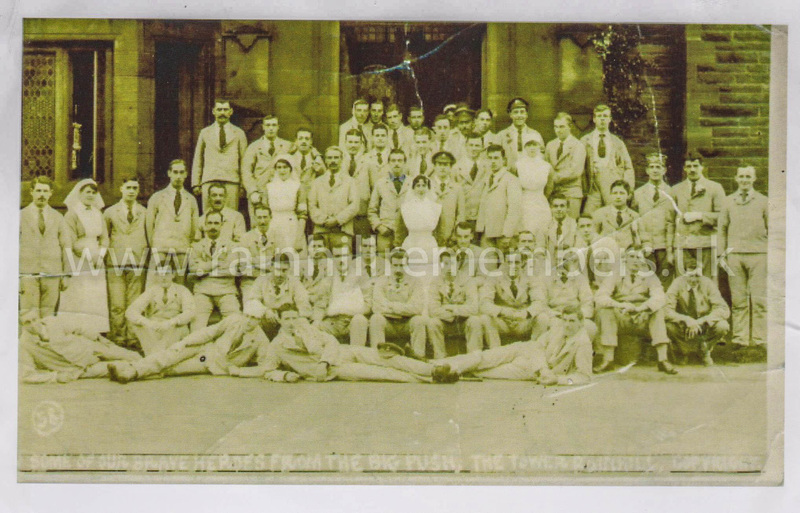 If you look closely at the bottom right of this photograph you can just make out a bulldog being held by a soldier wearing a hat. 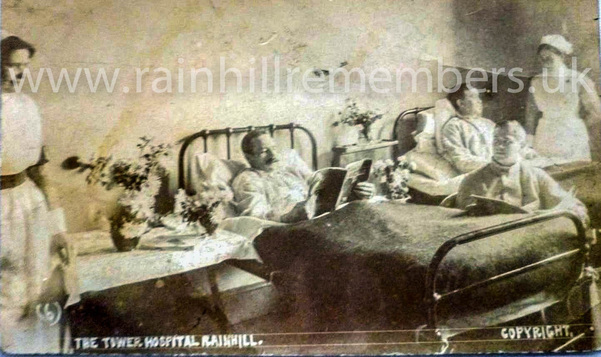 This bulldog makes several appearances in Tower Hospital photographs and was clearly a favourite of the soldiers. 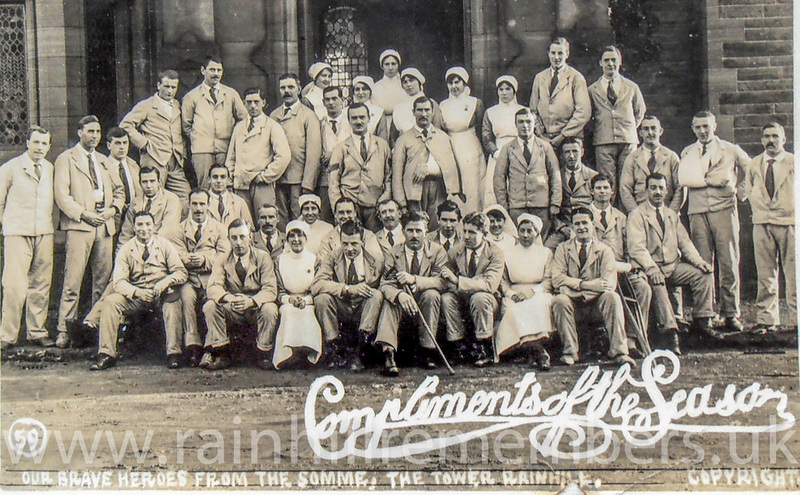 A group of soldiers outside Tower Hospital with the words 'Kind Thoughts' on the postcard. 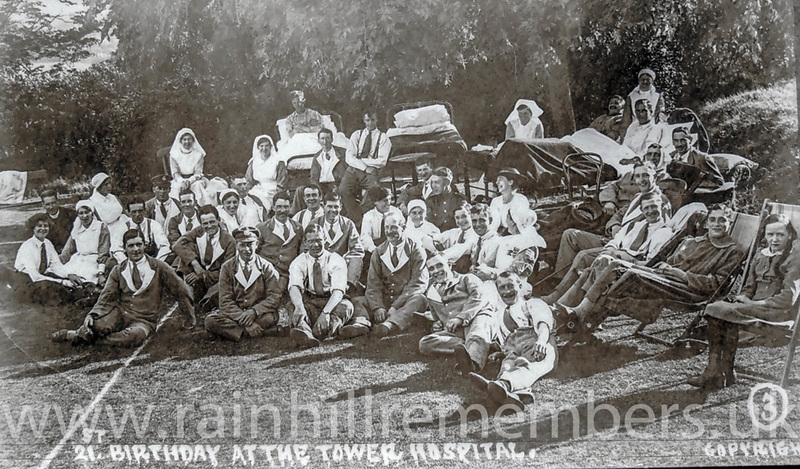 It's not clear who, but someone has a 21st birthday party at Tower Hospital.